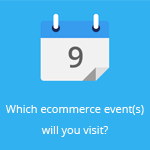 December 10, 2013 by Ecommerce News. About Acquisition with tags Germany. 5963 views. Backcountry has acquired Bergfreunde.de, an European ecommerce site that sells all kinds of outdoor equipment and serves customers in Germany, Austria and Switzerland. The purchase marks the entry of American-based Backcountry into the European market. The company wants to build the first globally scaled outdoor ecommerce business. Bergfreunde.de was founded in 2006 and it sells clothing and shoes for outdoor activities like rock climbing, bouldering, ice climbing and alpinism. Also a variety of sleeping bags, tents, outdoor accessories, books and DVD’s can be ordered online via this ecommerce site. According to Jill Layfield, CEO of Backcountry, the two brands are well-aligned in terms of “their passionate customers, their expert customer service, and an internal culture that thrives in the outdoors”. It’s the first European acquisition for Backcountry, that is part of the Liberty Interactive Group, owner of other ecommerce sites like QVC and Bodybuilding.com. But it’s definitely not the first US outdoor or actoin sports retailer that has acquired an European retailer. Zumiez paid almost 60 million euros for Austria-based ecommerce site Blue Tomato in June 2012. One year later, in June of this year, Foot Locker bought Runners Point Group, an athletic store and online retailer based in Germany. That month another acquisition took place in this industry, as an Swedish outdoor online retailer (Addnature AB) bought German online bicycle and outdoor retailer Internetstores, which owns Fahrrad.de, Brügelmann.de, Bikster and Bikeunit.